Tagged 2018, aline kominsky-crumb, alternative comics, best of, comics, drew weing, in slideshow, independent comics, jim woodring, Lauren Weinstein, matthew thurber, michael deforge, olivier schrauwen, rina ayuyang, ron rege jr.
Superhero comics love a good analog. Captain Marvel is Superman, but more boyish, and with magic words instead of Krypton. Moon Knight is Batman but with a mercenary past. 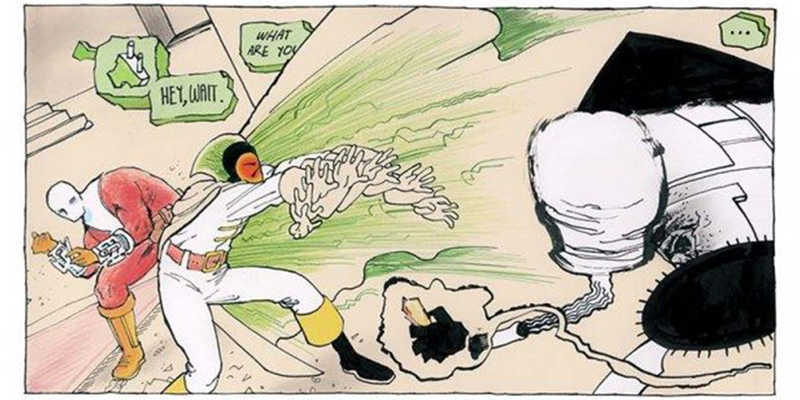 Watchmen is just a riff on the Charlton heroes. Marvel has Mister Fantastic, while DC has Plastic Man and the Elongated Man. And so on and so forth, ad infinitum. 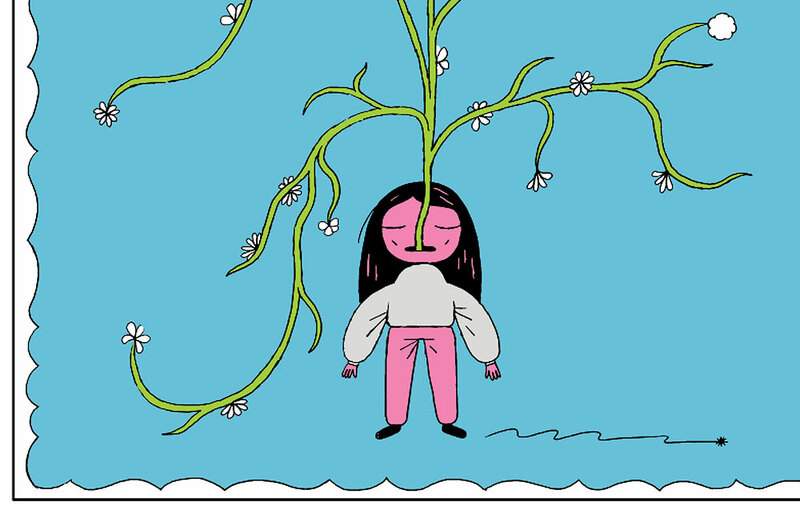 Characters sweat a lot in Michael DeForge’s comics. Not the kind of flop sweat that traditional cartoon characters exhibit, with water droplets literally flying off the body in a halo formation, but beads of perspiration that cascade down the character’s face in such a plentiful supply that you sometimes wonder why there isn’t a puddle around the character’s feet.